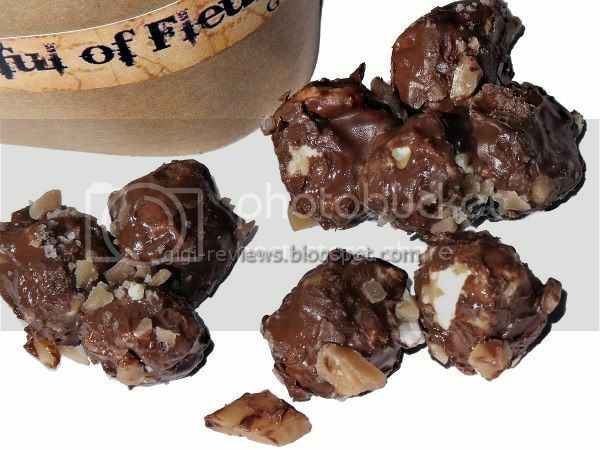 The popcorn is stuck together with caramel in nicely sized clusters, which are then covered in dark chocolate along with large chunks of toffee sprinkled with fleur de sel. OMG! If life in the Wild West were more like this and less like about a dozen bad Kevin Costner movies, maybe I would regret not living there. The popcorn is fluffy and manages to not pick up that oily taste and spongy texture that packaged popcorn tends to get. The caramel is buttery and you know it's there -- but it's not so strong that it overrides any of the other flavors. 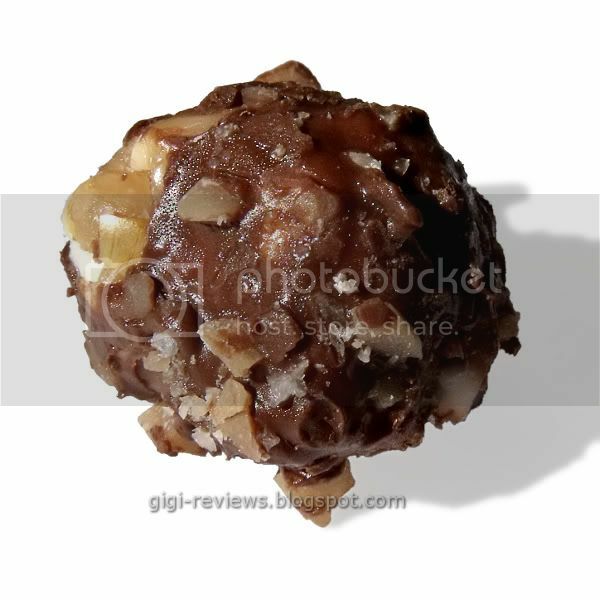 The toffee pieces were crunchy and sweet, and complimented the caramel perfectly. But it's really the salt that brings the whole thing together. It makes the cocoa in the dark chocolate stand out. It balances the caramel and the toffee, and it reminds you of the best part of really good freshly popped corn. This stuff is truly addicting. And we actually blew through the entire bag while writing the review. So grab old Trigger and go get some...of course, if you're riding a horse to get to your internet connection, you may have bigger issues. Made in facilities along with dairy, soy, peanuts, wheat, and tree nuts are used. Those cowgirls are evil geniuses! They are!- this popcorn would have been seriously good used in ice cream. Gigi is also on Pinterest! Follow me! Gigi Reviews is dedicated to reviewing all things edible! 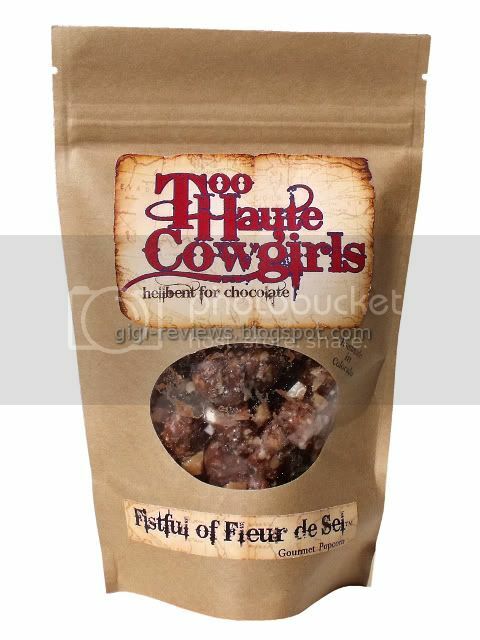 Orkut Heroes Voted Gigi Reviews one of the best chocolate blogs in the world! I am honored to be in such good company as the likes of Candy Blog and the #1 choice Jim's Chocolate Mission! Search by labels just pulldown to chow down! Gigi Goes to Ben & Jerry's: Part Deux! Gigi Goes to Ben & Jerry's! Gigi Goes to Ben & Jerry's Week! Gigireviews. Simple theme. Powered by Blogger.